What? Open-ended game-like simulations with an intuitive interface and minimal text appropriate for a variety of class settings. Includes expert visual models that make the invisible visible and provide multiple representations, enabling scientist-like exploration and real-world connections. Why? They are free and easy to incorporate into nearly any teaching environment or style. They are based on research into how students learn in general, student understanding of specific science concepts, and user interface design. Effective use of PhET simulations can lead to improved conceptual learning over traditional lectures, demonstrations, and labs. Why not? PhET simulations might not be the best approach if your goal is for your students to learn to use real lab equipment or to learn to program, or if you don't have access to computers. The PhET website has more example curriculum outlines, e.g for undergraduate physics and high school physics. Intro Article: C. Wieman, K. Perkins, and W. Adams, Oersted Medal Lecture 2007: Interactive simulations for teaching physics: What works, what doesn’t, and why, Am. J. Phys. 76 (4&5), 393 (2008). You can find over 100 simulations available for free on the PhET website. PhET also has an activity database where PhET team members and teachers from around the world can contribute teaching activities using PhET simulations. The database contains hundreds of activities that you can download for free, including labs, homework assignments, lectures, activities, concept questions, and more. W. Adams, Z. Armstrong, and C. Galovich, Can students learn from PhET sims at home, alone?, presented at the Physics Education Research Conference 2015, College Park, MD, 2015. W. Adams, A. Paulson, and C. Wieman, What Levels of Guidance Promote Engaged Exploration with Interactive Simulations?, presented at the Physics Education Research Conference 2008, Edmonton, Canada, 2008. 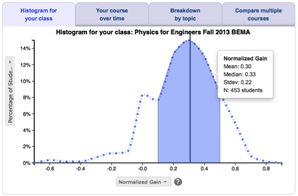 M. Dubson, K. Perkins, W. Adams, N. Finkelstein, S. Reid, C. Wieman, and R. LeMaster, PhET: Interactive Simulations for Teaching and Learning Physics, Phys. Teach. 44 (1), 18 (2006). N. Finkelstein, K. Perkins, W. Adams, P. Kohl, and N. Podolefsky, Can Computer Simulations Replace Real Equipment in Undergraduate Laboratories?, presented at the Physics Education Research Conference 2004, Sacramento, California, 2004. N. Finkelstein, W. Adams, C. Keller, P. Kohl, K. Perkins, N. Podolefsky, S. Reid, and R. LeMaster, When learning about the real world is better done virtually: A study of substituting computer simulations for laboratory equipment, Phys. Rev. ST Phys. Educ. Res. 1 (1), (2006). C. Keller, N. Finkelstein, K. Perkins, and S. Pollock, Assessing the Effectiveness of a Computer Simulation in Conjunction with Tutorials in Introductory Physics in Undergraduate Physics Recitations, presented at the Physics Education Research Conference 2005, Salt Lake City, Utah, 2005. C. Keller, N. Finkelstein, K. Perkins, and S. Pollock, Assessing the Effectiveness of a Computer Simulation in Introductory Undergraduate Environments, presented at the Physics Education Research Conference 2006, Syracuse, New York, 2006. R. Khatri, C. Henderson, R. Cole, and J. Froyd, Over One Hundred Million Simulations Delivered: A Case Study of the PhET Interactive Simulations, presented at the Physics Education Research Conference 2013, Portland, OR, 2013. S. McKagan, W. Handley, K. Perkins, and C. Wieman, A Research-based Curriculum for Teaching the Photoelectric Effect, Am. J. Phys. 77 (1), 87 (2007). S. McKagan, K. Perkins, M. Dubson, C. Malley, S. Reid, R. LeMaster, and C. Wieman, Developing and Researching PhET simulations for Teaching Quantum Mechanics, Am. J. Phys. 76 (4), 406 (2007). E. Morgan and E. Moore, Investigating Student Learning with Accessible Interactive Physics Simulations, presented at the Physics Education Research Conference 2016, Sacramento, CA, 2016. K. Perkins and C. Wieman, A powerful tool for teaching science, Nature (London) 2 (5), 290 (2006). K. Perkins and E. Moore, Increasing the accessibility of PhET Simulations for students with disabilities: Progress, challenges, and potential, presented at the Physics Education Research Conference 2017, Cincinnati, OH, 2017. K. Perkins, E. Moore, N. Podolefsky, K. Lancaster, and C. Denison, Towards research-based strategies for using PhET simulations in middle school physical science classes, presented at the Physics Education Research Conference 2011, Omaha, Nebraska, 2011. N. Podolefsky, K. Perkins, and W. Adams, Computer simulations to classrooms: Tools for change, presented at the Physics Education Research Conference 2009, Ann Arbor, Michigan, 2009. N. Podolefsky and K. Perkins, Context Dependence of Teacher Practices in Middle School Science, presented at the Physics Education Research Conference 2011, Omaha, Nebraska, 2011. N. Podolefsky, K. Perkins, and W. Adams, Factors promoting engaged exploration with computer simulations, Phys. Rev. ST Phys. Educ. Res. 6 (2), 020117 (2010). N. Podolefsky, Intentional Design for Empowerment, presented at the Physics Education Research Conference 2013, Portland, OR, 2013. N. Podolefsky, W. Adams, and C. Wieman, Student Choices when Learning with Computer Simulations, presented at the Physics Education Research Conference 2009, Ann Arbor, Michigan, 2009. M. Quezada-Espinoza, V. del Campo, and G. Zavala, Technology and research-based strategies: Learning and alternative conceptions, presented at the Physics Education Research Conference 2015, College Park, MD, 2015. J. Stang, M. Barker, S. Perez, J. Ives, and I. Roll, Active learning in pre-class assignments: Exploring the use of interactive simulations to enhance reading assignments, presented at the Physics Education Research Conference 2016, Sacramento, CA, 2016. C. Wieman, K. Perkins, and W. Adams, Oersted Medal Lecture 2007: Interactive simulations for teaching physics: What works, what doesn’t, and why, Am. J. Phys. 76 (4&5), 393 (2008). C. Wieman, W. Adams, and K. Perkins, PhET: Simulations That Enhance Learning, Science 322 (5902), 682 (2008).